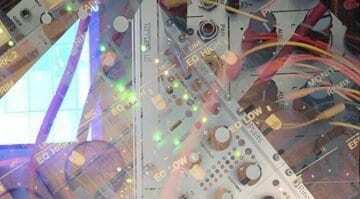 After much speculation, sightings and teasing images Mutable Instruments finally give us Stages. It’s labelled as a “Segment Generator” but as we know with Mutable modules these tend to be a little bit cryptic. So what does it do? It’s a device of multiple modulations. 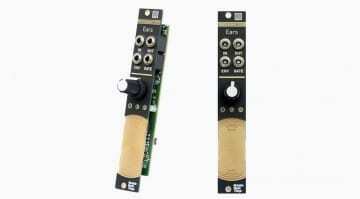 It can be an envelope, LFO, sequencer, or any kind of modulation that you can come up with. it really comes down to how you plug it together. At a basic level you could see it as a 6 stage envelope, but each of these “Stages” can do its own thing. It could 6 very simple envelopes, or two lots of ASR. It could be 6 set voltages waiting for a trigger, making a sequence or modulating something else. It might loop, it might not. In some ways it’s openness to interpretation leaves you wondering what you would actually use it for. The input/output relationship is very flexible. Stages detects the presence of jacks on the gate inputs in order to configure itself – to configure the “segments”. When using multiple segments in an envelope the gate outputs can trigger on the arrival of the next stage. RAMP – moving from one voltage to another with a CV controlled amount of time. This is most commonly used in attack, decay and release, but it could also form an LFO. HOLD – A constant voltage for a set amount of time like with an envelope sustain. STEP – gliding to a target voltage until a new trigger is received. This is the building block of sequences, sample-and-hold and sequential switches. Each segment, or group of segments can loop on itself. The loop keeps going while the gate is high and moves on when it’s low. If the last segment is included in the loop then it will loop forever. This can generate LFOs or the sustain stage of an ADSR envelope. One interesting feature is that single segments that are not being used can be employed as interesting functions. RAMP will turn it into an LFO, HOLD can delay a CV and STEP can slew it. Or if you add a trigger signal they become a tempo-synced LFO, pulse generator and sample-and-hold. 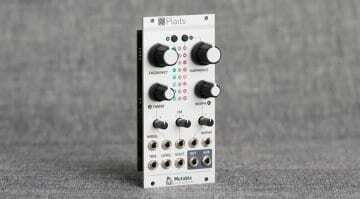 One again Mutable Instruments have produced something with many facets and multiple uses. 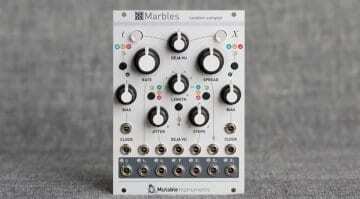 Simple and yet creatively complex and rather than filling a Eurorack need they somehow manage to develop the whole modular story into things we wouldn’t have thought of. And if 6 segments isn’t enough then you can chain up to 6 modules together. Stages is available now, or very soon as they announced it a little early due to leaks, for €299. 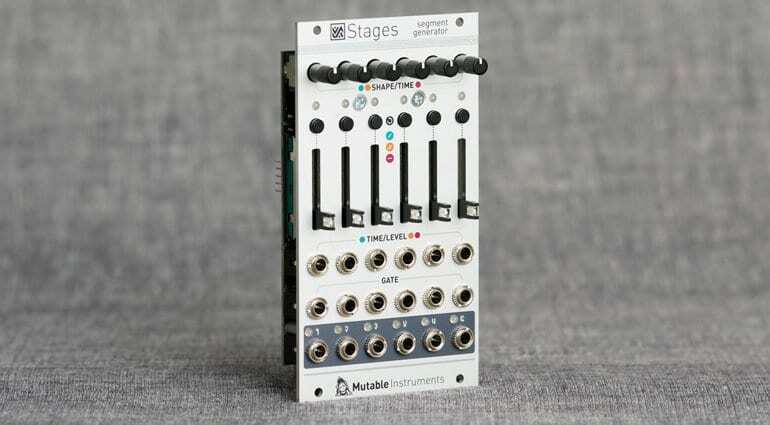 Does this image reveal a new Mutable module called Stages or is it Marbles?